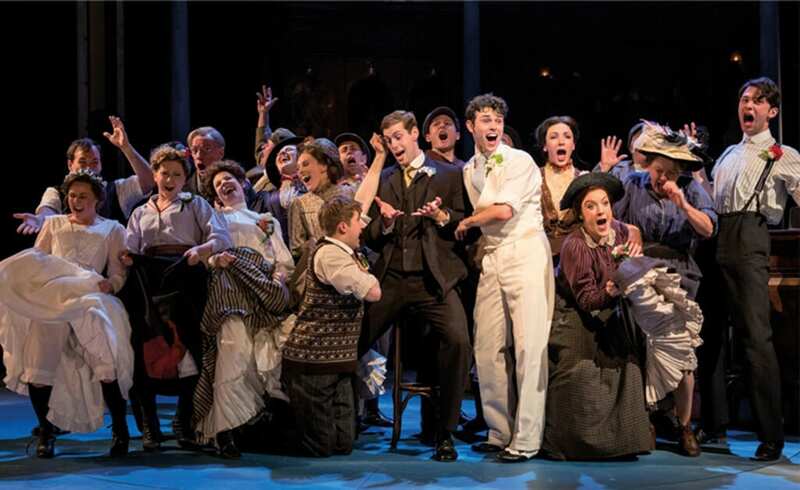 I know I’m always banging on about structure, and what happens when you get it wrong in a musical, but there’s a reason for that, and Half A Sixpence which has just opened at The Noel Coward Theatre with impeccable credentials, rather proves my point. This production, is what the Americans call a ‘revisal’, and for this particular job it’s hard to think of a better qualified team for this most English of musicals. 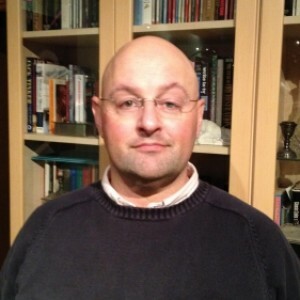 Julian Fellowes has re-visited the original source material, H G Wells’ semi-autobiographical Kipps, and George Stiles & Anthony Drewe have not only worked their magic on the existing David Heneker numbers, but also interpolated some of their own, some of which work better than others. 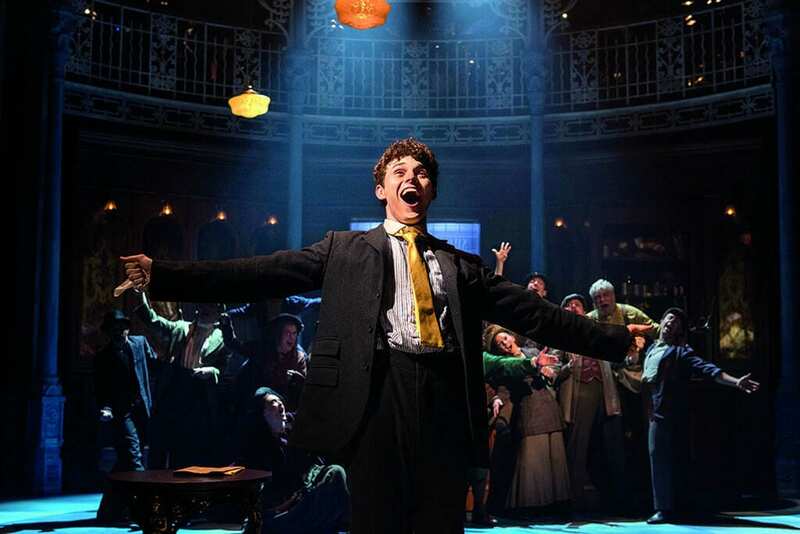 The story concerns Arthur Kipps (the astonishing, gravity-defying, Charlie Stemp) who is left a fortune by his estranged grandfather, loses it, and makes another; along the way realising that money can’t buy you happiness. The message is essentially ‘to thine own self be true’. Oh, and there are two women in his life he has to choose between. Successful commercial musicals of the ‘classic’ type (of which this is absolutely one, and yes I know there are exceptions, but this show is as text-book as they come…) work in a particular way, and you deviate from this at your peril, as it’s what the audience is pre-programmed to expect. In the opening scene you have an musical number which defines the world, and often sets up the premise and identifies the lead character, the one in whom you’ll be investing your emotional energy for the evening. Once the lead character is defined, the next job is to define what they want, as that will dictate their actions throughout the rest of the show. David Heneker’s original opens with Kipps working in a drapers shop with the musical number ‘All in the Cause of Economy’. Having defined his world, he goes off to see the girl he loves, Ann, giving her the titular ‘Half a Sixpence’ and thereby defining for the audience that no matter whatever else happens in the evening, it is she whom he really wants. He may be lead astray, but everything he does will just be an education on the road back to the love of his life. As this is a musical comedy, naturally he loses the woman he loves at the end of act one, and finally gets her at the end of act two. A few ‘Downton Abbey Oddities’ creep in along the way from Fellowes’ book – there’s a joke about Stinking Bishop cheese, for example, which wasn’t produced until 1972, more than 60 years after the action of the show is set. All in all, the show is a missed opportunity, and if they fixed the opening twenty minutes it could be a hit. As things stand, I really don’t see this being the case. 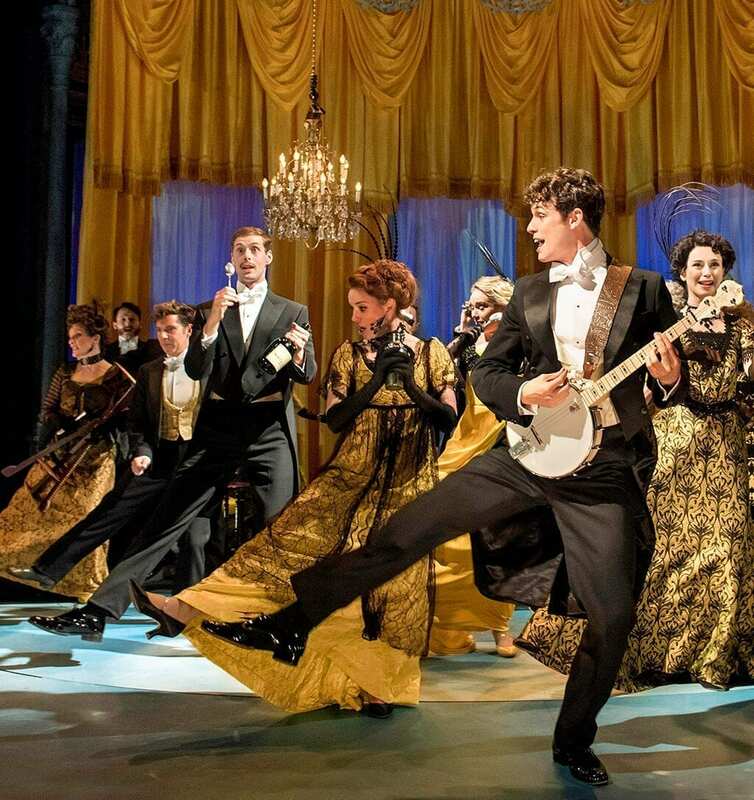 Still, it looks good, is well choreographed (Andrew Wright) and has a new star in Charlie Stemp as the lead. Good luck!